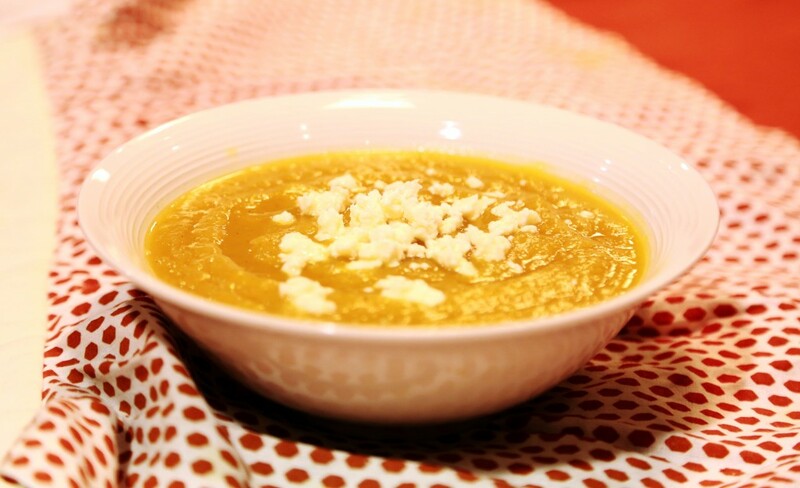 This pureed soup only has a few ingredients, but when you put them together they combine into something truly amazing (especially when you top this soup with a bit of creamy goat cheese). Important: make sure you only use curry OR sage, not both! This soup is very versatile and tastes extremely different depending on which one you use, but they are NOT flavors you want to have together. Peel, de-seed and chop your pumpkin and apples into 2 inch chunks. Put everything in your slow cooker and fill to the top with broth. Leave on low til you come home. Before you serve, use an immersion blender to emulsify your soup. 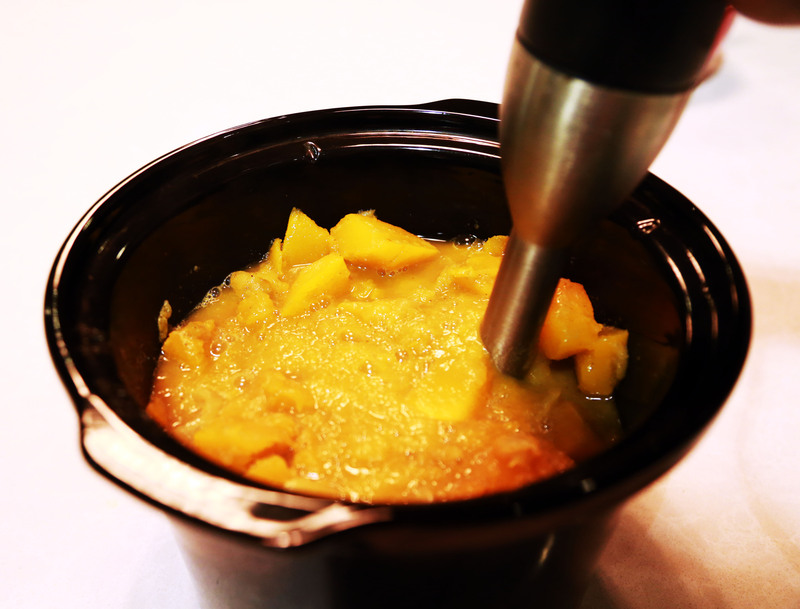 If you don’t have an immersion blender you can always pour it into a regular standing blender…the immersion blender just makes it happen in a snap and requires less cleanup. To make without slow cooker: Simply boil all of your ingredients until tender & blend until smooth. 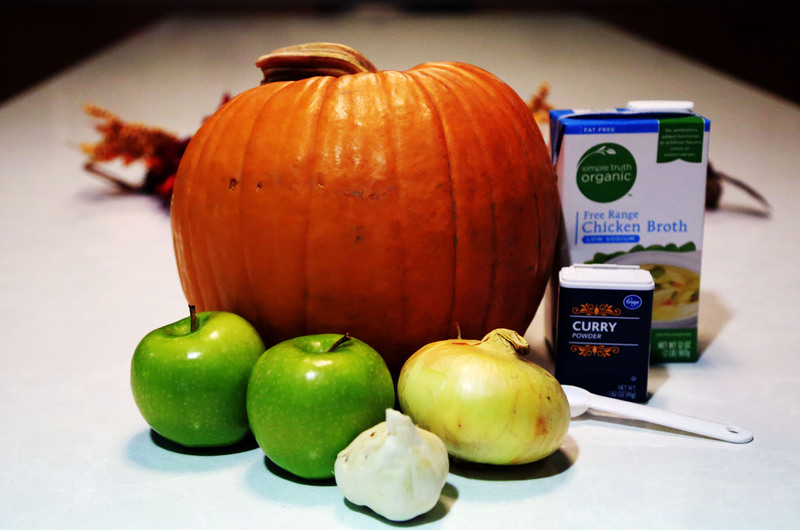 If you want to get a little more advanced, you can sauté the onion and apples until the onions are a little brown before you add the pumpkin & vegetable stock.